In this part, I will show you how to layout accurately to a few thousands of an inch. The CNC router is a machine capable of cutting to accuracies measured in thousands of an inch; therefore the machine needs to be built to thousands accuracy. This may seem impossible when working with wood, but with a few basic measuring tools, layout doesn’t have to be a difficult task. This will apply to marking wood or metals. Since I drew up all my designs using a CAD program, all my dimensions were decimal to 3 places. You may work with whatever system you like, but the method of layout is the same. Because I have a milling machine, I took advantage of its direct reading dials to make a set of layout gauges. These gauges will be used to layout dimensions on the plywood or aluminum, whichever you decide to use. Starting with aluminum flat bar, ¼” thick x 2” wide, I cut a length of the flat bar to the following lengths: 1”, 2”, 3”,6”,12” and 24”. I cut them to a rough oversize length and used the milling machine dials to get them to the exact length. I tried to get the lengths as close to the dimensions noted by measuring with micrometers and calipers. A 6” or 12” digital caliper from Harbor Freight is perfectly adequate for layout and making the gauge blocks. The length of each gauge is ± .001” which is close enough for our purposes. For those in the know, I used a 1” micrometer and a 12”vernier caliper to check the length of each gauge. I call my gauges, gauge blocks, but mine are only accurate to ± .001”. 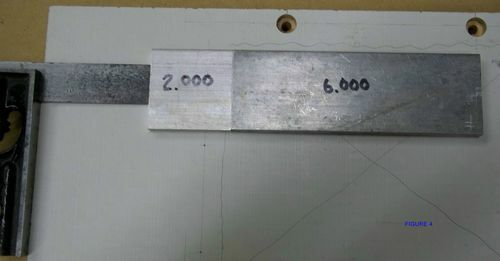 Real gauge blocks as used by machinists are accurate to ± .0000001” and they are expensive and not required for our build. 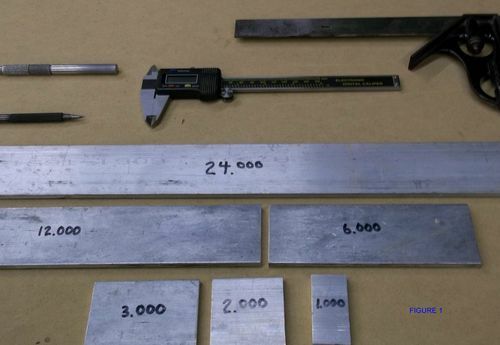 Figure 1 shows the set of gauge blocks I made and the tools used for layout. Figure 2 shows a sample layout dimension on the plywood. The dimension is taken from the left hand edge to the second hole. In use, I do my layout in thousands of an inch using my home made gauge blocks, a 6” digital caliper, a 12” combination square and a sharp scriber. To setup the dimension, use a 2” and a 6” gauge block and subtracting 8” from the 10.726” dimension, the result is 2.726” which I set on the caliper. I then transfer the 2.726” caliper dimension to the combination square as shown in Figure 3. In Figure 4, the setup is shown ready to scribe the line at the right end of the 6” gauge block. All dimensions are laid out the same way using the same edge to measure all dimensions from. This is a pretty accurate way to do the layout. It shouldn’t be off by more than ± .003”. I know not everyone has a milling machine, so here are some ideas for making the gauge blocks. You can cut the aluminum using a bandsaw or table saw. If you use a table saw, take a fine tooth carbide blade and mounting it backwards so the teeth point AWAY from you, you can cut the aluminum bar. 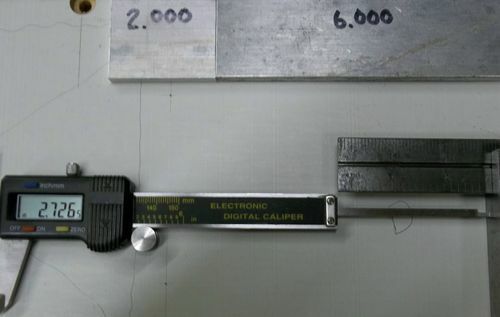 You can make the 1”, 2”, 3” and 6” long bars by measuring with a 6” digital caliper. For the 12” bar, place the previous 4 bars end to end and for the 24” bar, use the 12” bar twice to mark the 24” length. The more time you take making these bars, the more accurate your layout will be. I made something similar but without using a milling machine. I cut the bars as accurately as possible and then measured them. The number weren’t nice even numbers but using a calculator to do the math gives the same result. I find this very useful. Thanks for showing what can be done with inexpensive tools and materials. I have not been able to add more to this blog due to back problems that I am trying to resolve. Then it will be full speed ahead. I want to update this blog so as not to let anyone think I have given up on it. My back problems have gotten worse and I am unable to do anything in the shop. I’m under a doctor’s care and trying to find a way to get back normal functioning. The diagnosis is Spinal Stenisos or a narrowing of the passages in the veterbrae causing pressure on the siatic nerve. Those of you who have had this know what it feels like. So far, I’ve undergone physical threaphy and an epidural spine injection. I’m waiting now for improvement. If no improvement, I will have to consider surgery as the next step. Once I’m back, I’ll continue with the CNC build. Thanks for your patience. After celebrating my 80th birthday, (Oct 9th), I started back working on my CNC machine along with several other projects. While taking it easy, I have been refining my CAD drawings and designing some smaller CNC machines. I entered a contest with “Online Metals” and lo-and-behold, won $250 worth of materials. I now have most of the metals I need for my ongoing projects. They are a great company to deal with if you need small amounts of metals or plastics.